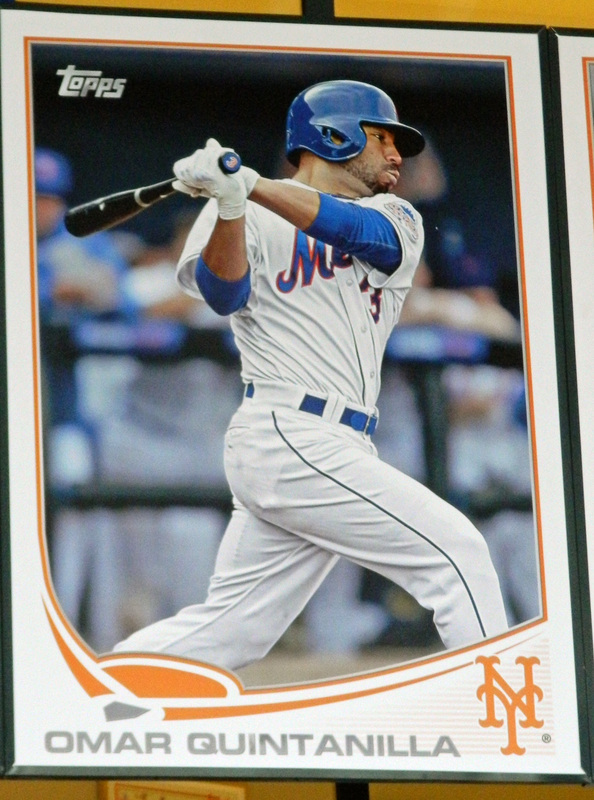 About a week and a half ago, I posted a gallery of some of the oversized baseball cards the Mets use in the Today’s Topps Lineup display at the top of the Jackie Robinson Rotunda. For those who are curious, neither Eric Young Jr. nor Josh Satin have cards yet, but Omar Quintanilla finally got one. 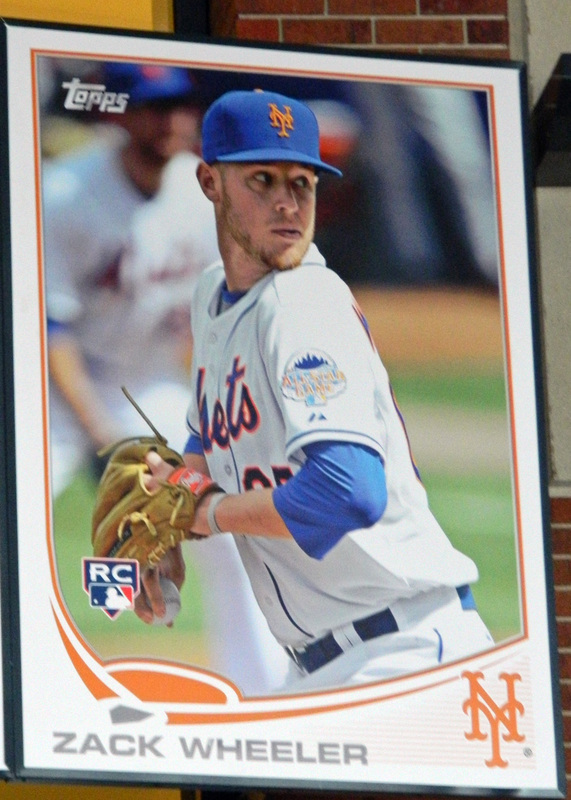 I found it interesting that they did have a card ready for Zack Wheeler‘s first home game. Looks like they used a spring training photo. I like those photos, thanks for posting. I’m always curious about which baseball cards are for sale at a stadium … ??? The Citi Field gift shops have a similar selection to what you’d find in a place like Target or WalMart, but at higher prices than I’m used to seeing at stores in New Jersey.